As concern about the scarcity of energy and raw materials continues to grow, AkzoNobel is among a group of companies looking to use waste as a feedstock to make chemicals. The project began in 2014 as a collaboration between AkzoNobel, several other Dutch organizations and Canadian firm Enerkem. Enerkem has developed technology which converts waste into synthesis gas – a common source material in the production of products such as methanol and acetic acid. These products, in turn, are important in the production of many other products in the chemical industry. 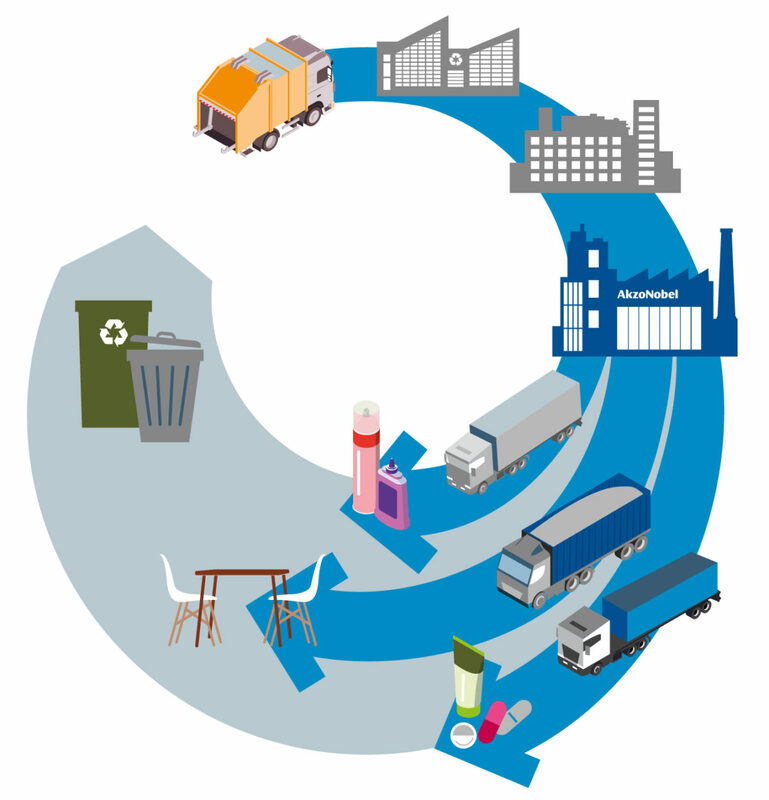 The consortium plans to open a first European Waste2Chemistry plant in Rotterdam in 2019. Production of 220 thousand tons of methanol with this new technology would reduce CO2 emissions by more than 250 thousand tons per year. This is an important step towards a circular chemical industry based on recycling and renewable resources. There is no national or European support mechanism to help the implementation of innovative technologies in the Chemical industry. This is available for sustainable energy projects. Banks generally request proof of running a new factory for a number of months before willing to lend money. For new technology which will be upscaled this is not possible.